Fully implemented, configured and working TSplus host. 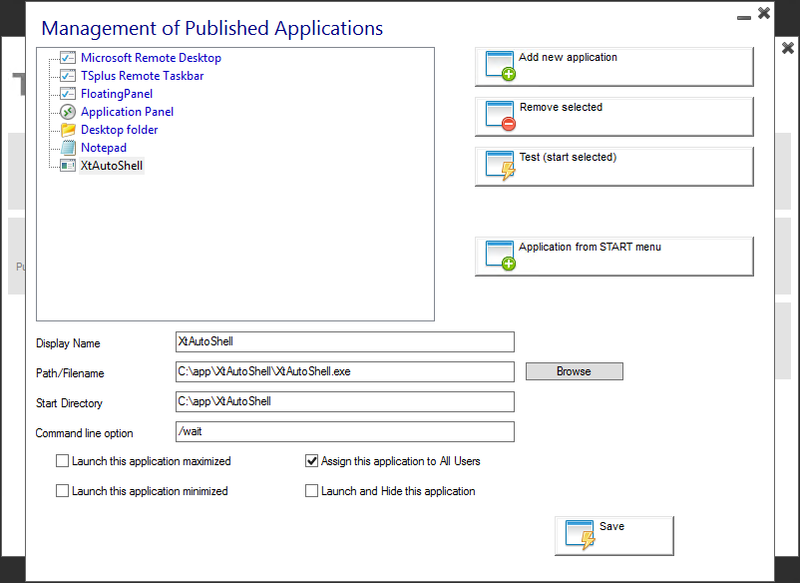 You will need access to the host to install our XTAM Auto Shell program and to publish this application. Login to your TSplus host. and an Include directory and PamRemoteApp.jar file will also be in this location. Enable standard Remote Desktop access to this host server and enable permissions for the user account that you intend to define in your XTAM Remote App Host record. This record will create the secure, remote connection to your TSplus server host. Remote App Platform: Select TSplus from the dropdown menu. This completes the XTAM Remote App Launcher using TSplus walkthrough. For additional remote app topics and how-to guides, return to the Remote App Launcher main page and use the topics listed at the bottom to navigate the available articles.